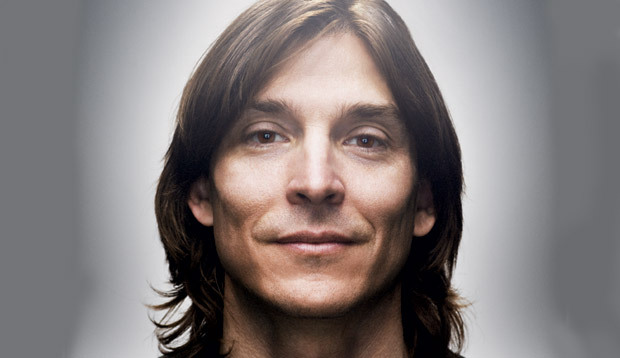 Dear Alex Bogusky’s Mom, Hi, Mom! It has been brought to our attention that you’re an avid reader of Fast Company. First and foremost we want to say welcome, and thanks! Mothers of prominent advertising figures is a niche readership we’ve long coveted–not for nothing, the moms of Wieden + Kennedy’s creatives are big fans, too–so we’re honestly thrilled to have you on board. Hi, Mom! It has been brought to our attention that you’re an avid reader of Fast Company. First and foremost we want to say welcome, and thanks! Mothers of prominent advertising figures is a niche readership we’ve long coveted–not for nothing, the moms of Wieden + Kennedy’s creatives are big fans, too–so we’re honestly thrilled to have you on board. According to Alex, you read Fast Company more than you read his own blog (hyperbole, surely), and we find it especially sweet that you keep up with your son’s career so closely that you actually sense when he might be getting in over his head (with you as support, any wonder he’s risen to the top). After reading our piece about Alex’s new job as Chief Creative Insurgent of MDC Partners, CP+B’s parent company, for example, you asked him how he planned to oversee MDC’s 32 agencies. And he told you not to believe everything you read on the Internet. Well, we’re glad that you brought this up because now we–and you–know from Alex’s public letter to his MDC colleagues that “creative insurgent” does not equal “creative director,” instead, he’ll be someone who “challenges the status quo” at MDC, questioning “the very definition of marking and communications and corporate structure.” Since you were the authority figure whose status quo was probably the first to be challenged by Alex, maybe you can tell us how good he’ll be at that. We can’t say we understand exactly what Alex will be doing in his new job (something about gorillas and writing a book? ), but luckily, we’ve got a great opportunity to straighten this whole thing out. If you want to learn more about what your son’s up to, we suggest attending our Innovation Uncensored Conference on April 21, where Alex will one of our keynote speakers. It’s going to be an exciting day put together by your favorite publication. We’d gladly save you a front row seat, and you can ask all the questions during the Q&A that you want. Oh! And if you want to order any more copies of your son on the cover of our magazine, we think they’d make great Valentine’s Day gifts for the family. Maybe you can even get Alex to autograph them!